Intel has announced that it is to leave the 5G smartphone modem business and will assess the opportunities for 4G and 5G modems in PCs, as well as data-centric and IoT devices. 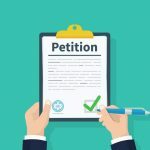 While Intel has not indicated a link between the two announcements, the news comes just after Apple and Qualcomm said they are bringing their legal battles to an end. It means that Intel will not supply the modem for the 5G iPhone, but the company says it will continue to invest in its 5G network infrastructure business. 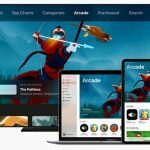 Apple has added a new confirmation pop-up to the App Store when users opt into a subscription using Touch ID or Face ID. While Apple has not said as much, the confirmation screen gives users a second chance to back out of a subscription. 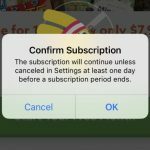 It also helps to avoid the problem of accidental sign-ups and mitigates against apps that try to trick people into starting a subscription. Viber has launched a new option called Viber Local Number which lets users in the US, UK and Canada buy a local phone number to associate with their account and use it to receive calls and texts with non-Viber users. Viber Local Number (VLN) has been in closed beta testing for a little while, but it is now available to anyone from the supported countries that is interested. It is a similar system to that found in Skype, and will cost subscribers $4.99 per month. Citing "technical limitations", Netflix has dropped support for AirPlay from its iPhone and iPad apps. Attempts to use AirPlay via the Control Center result in an error message, and Netflix has updated its support pages to indicate that the feature is no longer available. With AirPlay having been supported for a number of years, it's not clear quite what technical issues may have suddenly arisen, but the change does come shortly after the launch of Apple TV+. 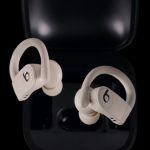 Beats by Dr Dre has revealed details of its soon-to-be-released Powerbeats Pro wireless earphones. Scheduled for release in May, the earphones combine the engineering talents of Apple and Beats to create AirPod alternatives for music lovers and athletes alike. Smaller and lighter than its predecessor, Powerbeats Pro provide both audio quality and comfort, and have been designed to withstand rigorous workouts. Available in four colors -- Black, Ivory, Moss and Navy -- the earphones deliver "powerful, balanced sound with dynamic range and noise isolation for a premium listening experience". Online privacy has become such a concern that VPN tools -- once used only by technology experts -- have now started to become far more mainstream. Android users can take advantage of Opera's built-in VPN, and there are many other services to choose from. Adding to this list, Cloudflare has announced a new free VPN service called Warp. 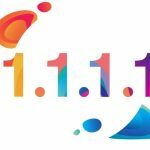 It will become part of the company's existing privacy-focused 1.1.1.1 DNS resolver, and just as 1.1.1.1 was designed to simplify using a DNS tool, so Warp is being billed as a "VPN for people who don't know what V.P.N. stands for". Apple has confirmed that its long-awaited wireless AirPower charging mat is not going to be released. The company says quality issues are to blame for the decision. 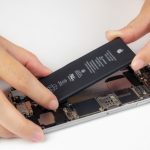 If you opted to replace your iPhone battery on the cheap -- avoiding Apple and opting for a third-party instead -- on a subsequent trip to your nearest Genius Bar you will have found that you were ineligible for repairs. It did not matter if your problem was in no way related to the battery, Apple took a hard line: if you had replaced the battery yourself, you were getting no further help. But leaked internal documents show that the company is softening. Genius Bar and Apple Authorized Service Provider technicians are now permitted to carry out work on phones with non-Apple batteries. 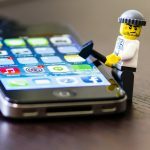 iPhones are renown for their security -- to the point that even law enforcement agencies have trouble accessing their contents. An Israeli firm, Cellebrite, became well-known when it transpired that hacking tools it made were used by the US government to crack locked iPhones… and now its hacking tools are available to buy on eBay. For as little as $100-$1000, you can get your hands on a second-hand piece of Cellebrite equipment (a fraction of its usual selling price). For just a few Benjamins, you could get a Cellebrite UFED (Universal Forensic Extraction Device) and use it for whatever you might fancy. Nostalgia is a powerful thing. The 1990s are popular at the moment -- as the new 90s-set Captain Marvel movie shows -- and Windows 95 is suddenly making a comeback of sorts, partially fueled by people's interest in that decade. If you’ve ever wondered what a modern version of the OS would look like, you can find out here, and you can now run an app version of the original Windows 95 on Windows 10, macOS and Linux. Own an iPhone? You can replace iOS 12 with iOS95 -- here's how. While Apple reigns supreme on mobile from both a hardware and operating system perspective (iPhone and iOS are best in class), Google is still king of apps and services. Things like Google Maps, Chrome, and Gmail are used by many iPhone and iPad users. Why do Apple fans opt for these Google solutions? They simply work well and are extremely dependable. Apple Maps, for instance, is good, but Google Maps is great. The search giant provides reliable tools that people enjoy using. 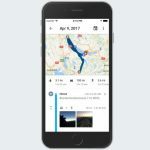 Today, Google announces that its Maps app for iOS is getting even better. You see, users can now "follow" their favorite locations, such as theaters, restaurants, and museums to name a few. As a result of following these places, you will be provided with interesting information about them, such as discounts, holiday hours, or dinner specials, for example. We won’t get a proper look at iOS 13 until Apple reveals it later in the year, but that isn’t going to stop people from coming up with some ideas of how the mobile operating system should look. 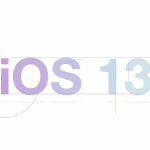 Just a couple of weeks ago we saw one iOS 13 concept video, and now another has surfaced. A collaboration between AppleiDesigner and Skyline News, this latest concept is packed with ideas to get excited about for iPhone and iPad users alike -- a redesigned status bar, system-wide dark mode, some great-looking wallpapers, and customizable lock screen elements.